Imagine being able to backup all your memories, images you have seen, sounds you had heard – all to a Blu-Ray disc and storing them for eternity? Well a researcher claims that this will be possible in the next 20 years! The Daily Mail reported that Raymond Kurzweil who is known for a lot of work with voice recognition technology told guests at a “future talk” even in Vienna that human brain back was technically possible and that we already possess the technology to make that a possibility. Not just that, Kurzweil also said that by the next twenty years, thousands of nanobot computers will be in our blood healing our bodies and improving our performance. These same machines will also be able to collect and backup all content in our brains! In a statement, Kurzweil said, “I believe that within the next 20 years we will have thousands of nanobot computer machines in our blood that will heal our bodies, improve our performance, and even be able to back up all the contents of our brains, just as you backup your files on a computer and this means they would back up every thought, every experience, everything that makes us an individual”. 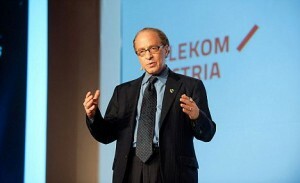 Kurzweil has 19 honorary doctorates and advises governments, scientists, military and others over a variety of issues. He is currently working with Google on how to solve the world’s energy problems. Next Google’s 1GB Internet is here!